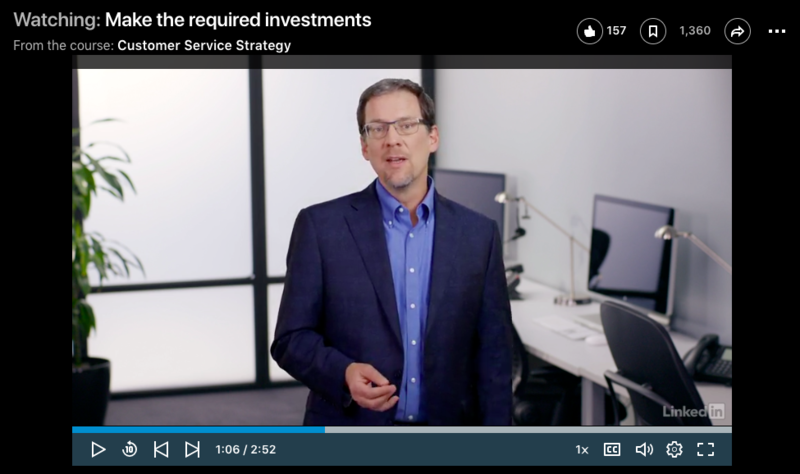 Ensuring that your organization is making required investments is an essential step in developing your customer service strategy. You will need to define, at a high level, the investments and funding necessary to support your vision. In my recent LinkedIn Learning course “Customer Service Strategy,” I explore four key principles that can help with this step. This entry was posted in Call Center, Contact Center, Customer Access Strategy, Customer Service, Leadership and tagged Brad Cleveland, Call Center, Contact Center, Customer Service, leadership, LinkedIn Learning, strategy by Brad Cleveland. Bookmark the permalink.